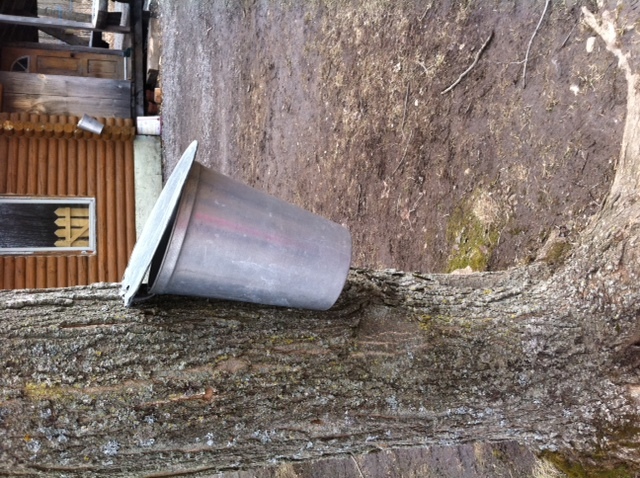 Today we took the kids on our annual sugar bush trip. 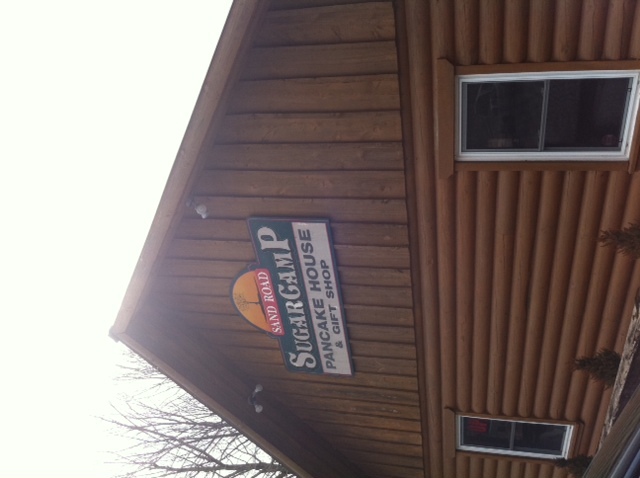 We go for pancakes, running around outside, real maple syrup and maple sugar candy. 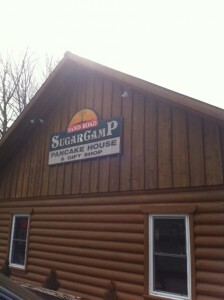 Sugar bushes (or camps, or shacks or pancake houses or farms depending on where you go) is nothing new for me. I grew up in Eastern Ontario, near Quebec and was surrounded by them. School trips were always planned and I went to a prom at one. Seriously. I've written about this and my love for maple syrup in the past. I am excited that my children get to relive my love for the sugar bush (and they certainly share my love for maple syrup). There was a huge maple tree on the property of one of my homes growing up. It flowed with sap each year. We would sometimes put a bucket on it for fun, but there wasn't enough to make syrup. 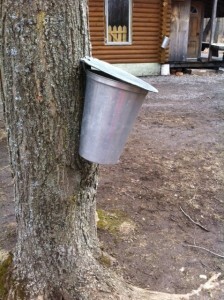 My grandfather, a farmer, tapped some trees on his property and would boil the sap and make syrup. It was a dark syrup as I remember it and it was delicious. We would dip buttered bread in it or pour it over bananas. Maple syrup over white rice is still a favourite snack of mine. 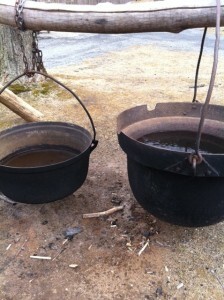 This picture was taken at the sugar bush today, but my grandpa had a pot just like it! 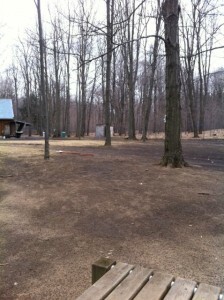 Today's trip was to the Sand Road Maple Camp. It's near Moosecreek, about a 50 minute drive East of Ottawa. It's worth the drive. First, the drive doesn't seem that long (although, remember we are often taking drives like that with the kids!) and once you get there the food assures you that it was worth it. Oh, the food. We decided on the buffet for all of us. $14.95 for each adult and $4.95 for the kids. If you prefer you can order off the menu, single items etc. But since our kids love pancakes and the trimmings, plus they got juice, it was worth it. My 2 year old ate beans and a huge pancake. My son had nearly 2 pancakes and some bacon. When I asked him how he was liking it, he simply said 'it's AWESOME!'. As for the syrup, it was wonderful. 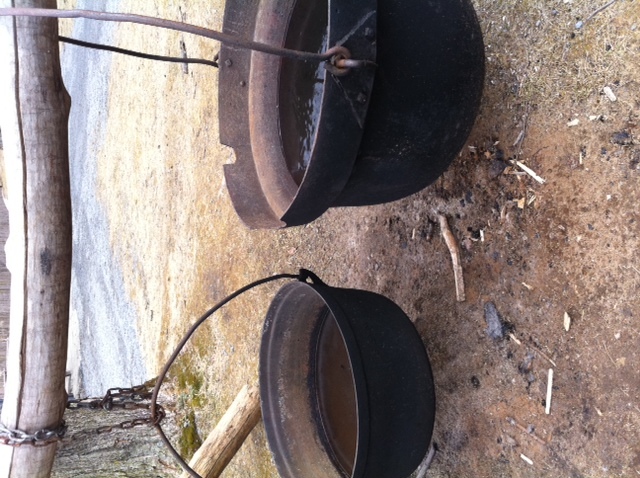 Had that traditional smokey, sweet flavour a sugar bush syrup should have. Incredible. I left feeling very satisfied. The ground was a little muddy, and the weather turning so we didn't stay too long after but did walk around for a bit. There is only a small play structure for the kids, so don't expect a lot of play time that way, but mine were happy to walk around exploring the trees for a bit. Naturally, I also left with maple sugar candy. Go to enjoy the drive, stay to enjoy the amazing food! 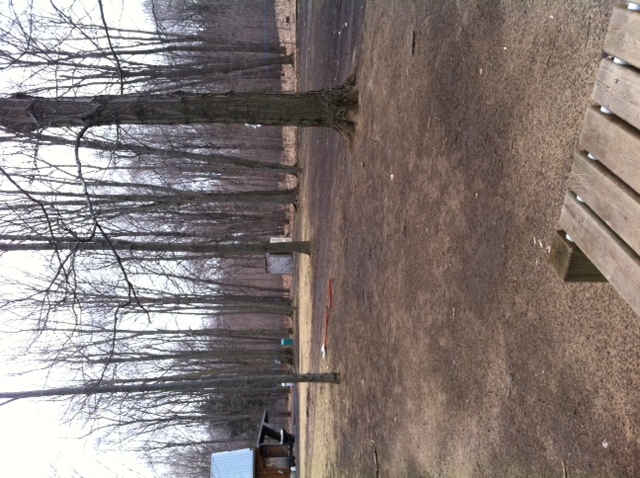 The camp doesn't require reservations, is open Tuesday-Sunday 9-4 and until April 25. Take the drive and enjoy! Rebecca blogs about family and motherhood, is a self-professed foodie, and dabbles in online engagment and community giving. She has a strange love for maple syrup that can possibly only be matched by her love for chocolate and coffee.